Q: The police want me to answer a few questions. Should I go down to speak with them? A: NO. Whether you are arrested or are asked to voluntarily speak with police, you should never subject yourself to police questioning. If you are taken into custody or are asked to come down to the police station to give a statement, you should politely tell the officer: "I would like to speak with my attorney." If the police are investigating a juvenile delinquency incident (i.e. criminal charges) for your son or daughter, you should politely inform the police officer that you and your son/daughter wish to speak with an attorney. Typically when the police ask you to come down to the station to give a statement, it is because they don't have enough independent evidence to charge you with a crime. They are hoping that you will be foolish enough to give them a statement or confession so that they can finally obtain the evidence needed to arrest you and close the case. Regardless of whether or not you are innocent, you will NOT benefit in any way from trying to explain your actions to a police officer. The investigating officer will listen closely to your explanation for any statements that can be used to prosecute you, and your statement may not be accurately portrayed in court. Q: The police officer told me he would put a good word in with the DA if I talk to him/her. Should I talk? NO. You should never talk to police until you've spoken with an attorney. "The co-defendant already confessed and told us that you were involved. ": More times than not, this is a lie. Even if this is true, the confession by a co-defendant will many times not be admissible against you. In many instances this is a complete lie, and they're hoping to fool you into confessing to the crime and implicating others in the process. "If you're cooperative, we'll work with the judge to make sure you're released on bail." : No they won't. The judge will set your bail, and the investigating officer is not going to fight for you to be released from jail. "If you don't cooperate with us, we're going to throw the book at you." Police are trained to charge you with every possible crime that might apply, and they're going to throw the book at you regardless. If the police obtain sufficient evidence to charge you with a particular crime, they will charge you with the crime. Don't make it easier to convict you by speaking with them. "If you're cooperative, we'll work with the DA to make sure you receive probation." Once your case is in the hands of the District Attorney's office, the police officer has absolutely no authority to make a favorable plea offer. There are thousands of people serving state prison time throughout the country who believed the false promises of an officer or investigator. "Once you get a lawyer involved, I can't help you." This is completely false. If you are asked to provide a statement to police, you should immediately contact the Zuckerman Law Firm, LLC for a free confidential consultation at 412-447-5580. Q: Am I required to identify myself to a police officer who requests my identification? A: If you are pulled over in a traffic stop, you are required to provide the police officer with your Driver's License, Registration and Proof of Insurance. If a police officer approaches you on foot and asks you to identify yourself, the officer has the right to request your identification if you are being detained (i.e. are not free to leave the scene). You may politely ask the officer "Am I free to leave?" If the officer says "yes," you may walk away. If the officer says "no," then you should provide him with your driver's license. Always be polite to the police. DO NOT give the officer a fake name, date of birth or social security number. If you do, you can be charged with providing False Identification to Law Enforcement, a 3rd Degree Misdemeanor punishable by up to 1-year in jail. Q: The police have asked for my permission to search me, my car or my house. Should I give them permission? A: NO. You should never give the police consent to search you, your car, or your house. If a police officer requests permission to conduct a search, you should politely inform him or her that you do not consent to the search at issue. However, if the officer proceeds to search you, your car, or your home anyway without your permission, DO NOT intervene, resist arrest, or get into an altercation or argument with the officer(s), as this could lead to the filing of additional charges. DO NOT consent to a search even when the police threaten to get a warrant and rip apart your house. They are simply trying to bully you into giving up your constitutional right to be free from unreasonable searches and seizures. Make the police establish to a district judge that they have the necessary probable cause needed to obtain the warrant. In many cases, the police simply won't go through the trouble. If the police conduct a search and arrest you thereafter, you should immediately contact the Zuckerman Law Firm, LLC for a free confidential consultation at 412-447-5580. Q: Can I talk to my family about my case? A: NO. You should not discuss the details of any criminal incident or investigation with anyone else but your attorney, unless given permission to do so by your attorney. With limited exceptions, any admissions you make to family or friends can be used against you in court to prove your guilt. Relationships change - and a person you trust today may call police tomorrow to tell them what you said. 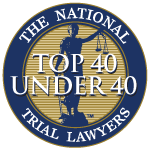 If you are charged with a crime, your first call should be to Attorney Zuckerman of the Zuckerman Law Firm, LLC at 412-447-5580. Q: I have been pulled over on suspicion of Driving Under the Influence (DUI). What questions do I have to answer? What tests must I submit to? A: I will address these issues for you one by one. ID: If you are pulled over on suspicion of Driving Under the Influence (DUI), you must provide the officer with your Driver's License, Registration and Proof of Insurance. If you are missing any or all of these documents, you will be cited with various vehicle code violations. Initial Questioning: If you are pulled over on suspicion of DUI, the officer will ask you a series of questions, such as: Where are you coming from? Where are you going? How much have you had to drink tonight? Do you have any drugs or weapons in the car? You are NOT required to answer any of those questions, and should NOT answer any of those questions. If you are asked to answer questions, you may say nothing, or politely inform the officer that you want to remain silent and speak to an attorney. I can't tell you how many DUI suspects think they help their case by telling the investigating officer, "I only had two (2) drinks." By telling the officer that you had two drinks, you have just admitted to consuming alcohol, which is an element of each alcohol-based DUI offense. Don't make their jobs any easier. Ordering You Out of the Vehicle: The police have the right to order you and all occupants of a vehicle to get out of the vehicle. You should cooperate fully with this request. Field Sobriety Tests: DO NOT perform any roadside field sobriety test, as you will not pass, even if 100% sober. Field sobriety tests are not objective tests that are applied uniformly - they are biased, are often administered incorrectly, and are graded by a police officer who already thinks you are guilty. There is no requirement in Pennsylvania for a driver to submit to field sobriety testing. They are often inappropriately administered on uneven surfaces containing gravel and other debris. 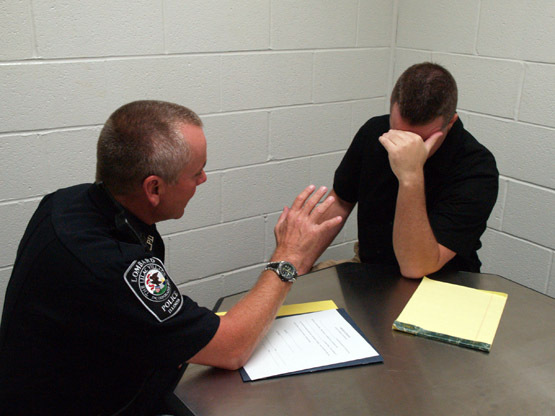 Field Sobriety Tests serve one purpose - giving a police officer probable cause to arrest you on suspicion of DUI. I have reviewed hundreds of police reports on DUI cases and have seen less than 10 cases where the suspect passed any field sobriety test (and only 1 out of 3 tests passed). If you are asked to perform a roadside field sobriety test, politely say "No thank you." Portable Breath Test (PBT): You are NOT required to submit to a handheld portable breath test at the scene of your traffic stop and should NOT submit to this test. A portable breath test is a handheld device used by a police officer to detect the presence of alcohol on your breath, and will be administered roadside at the scene of your traffic stop. The test results of a PBT are not admissible against you as evidence of a specific blood alcohol concentration (i.e. .16%), but are only used to determine if probable cause exists to arrest you for driving on suspicion of DUI. The PBT is different from the standard breathalyzer, which is listed below. Breathalyzer and Blood Tests: Under Pennsylvania's Implied Consent Law, you are required to submit to a blood or breath test if you are arrested on suspicion of DUI. You do NOT have the right to speak with an attorney beforehand. If you refuse to submit to a blood or breath test as required, you will be subject to an automatic drivers license suspension of 12 months. If the officer believes that there is sufficient evidence of your intoxication, you will also be charged with DUI - Refusal, a highest-tier DUI offense. The breathalyzer is a blood alcohol concentration device that measures alcohol concentrated in your alveolar (lung) air, which then utilizes a formula called a partition ratio to determine the concentration of alcohol in your blood. This machine is located at the police station or barracks, and the test results are admissible to prove your BAC in a DUI trial if properly authenticated. Blood testing is conducted in a hospital setting by a nurse who draws venous blood from your arm, which is stored in vials that are submitted to the local crime lab for BAC testing.